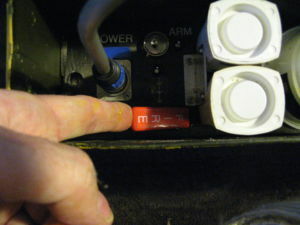 Box 1 – Turn the Power Switch On – LEDs on. 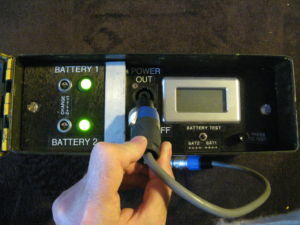 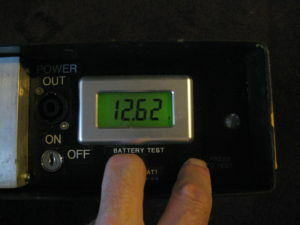 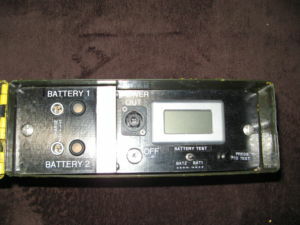 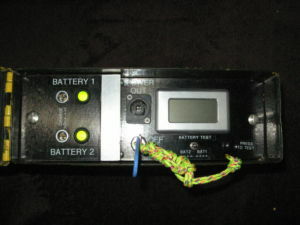 Box 1 – Battery test works in the dark too! 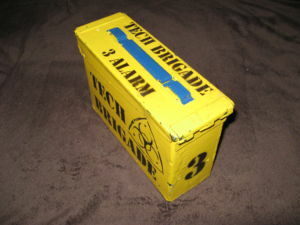 Box 3 – Open box lid. 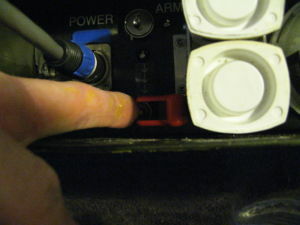 Box 3 – Arm Key inserted in “Safe” Position. 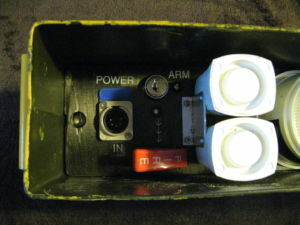 Box 3 – Arm Key switched to “Arm” Position. 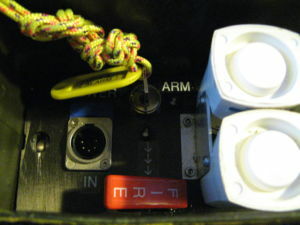 Box 3 – Remove the Arming Key. 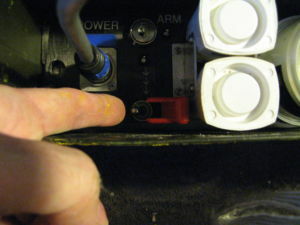 Box 3 – Insert connector in to socket. 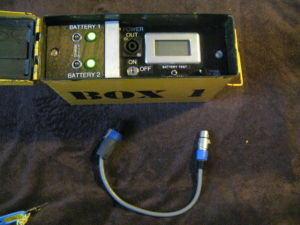 Box 3 – Cable connector inserted. 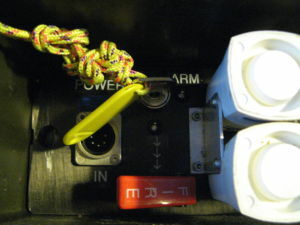 Coil the cable up and close the Alarm Box lid. 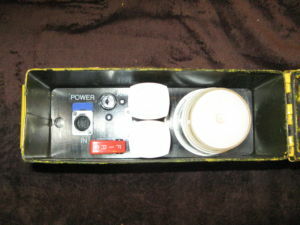 The two boxes are ready to be deployed in the game now. 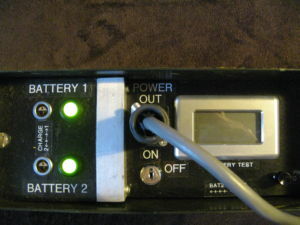 Usually one box is static and the other has to be moved next to it. 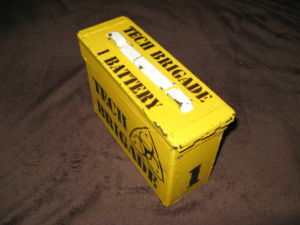 Having located both boxes and brought them together. 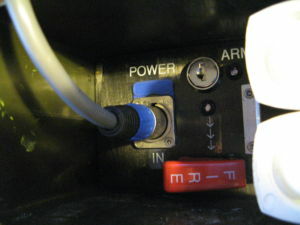 Open both. 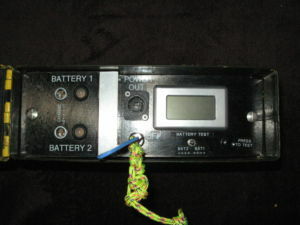 Extract the free end of the cable from the Alarm box. 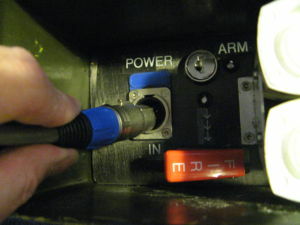 Box 1 – Inserted Connector Start Position. 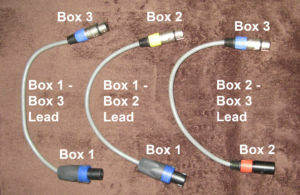 Box 1 – Rotate Connector to Locked Position. 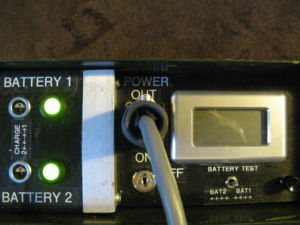 The switch is momentary so will switch itself off once switched. 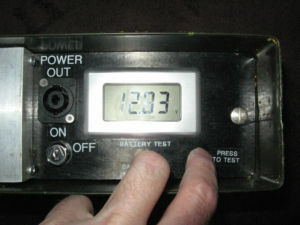 The alarm sounders and xenon beacon are on a timer and will switch off after a few seconds.